Following the success of previous years, the conference will consist of a variety of lectures from leading clinical academics.. This conference will provide an excellent opportunity for delegates who wish to discover an insight into the various avenues of research. The day will consist of several talks and workshops, and delegates will also have the opportunity to network with fellow students and doctors. Lunch, as well as refreshments, will be provided on the day. This year's event provides delegates with the opportunity to present their research to an esteemed and enthusiastic audience. Prizes will be awarded for those awarded first place in both oral presentations and poster presentations. To submit an abstract please complete the form via the following link no later than 11:59 on 19th September 2018 (Wednesday) . 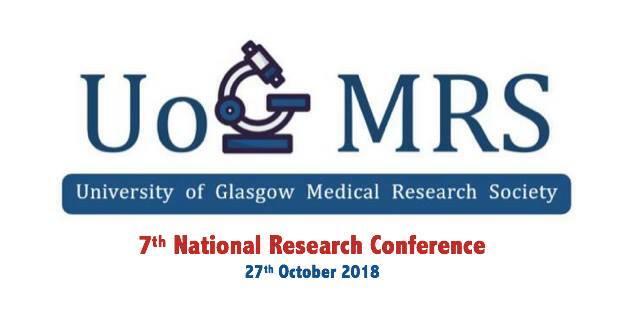 Abstracts should be no longer than 300 words and all figures/tables should be e-mailed separately to glasgowmedicalresearchsociety@gmail.com . Kindly ensure that your full name is used as the title of the email and document. The deadline for abstract submissions is 3rd October 2018. Successful applicants will be notified via email by 15th October 2018. 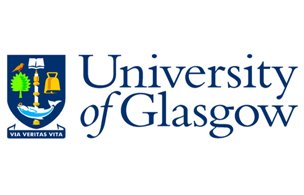 The winner of the oral presentations and poster presentations will receive a prize of £150 and £100 respectively which will be issued directly by the University of Glasgow Medical Research Organising team. Not sure what a career in research entails? Interested in a career in research but unsure if it’s right for you? Our very own Professor Matthew Walters will be presenting an Introduction into a Career in Research to kick-start our programme for the day. Professor Walters is a Professor of Clinical Pharmacology and the Head of the School of Medicine, Dentistry and Nursing at the University of Glasgow. 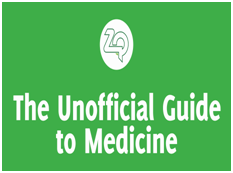 All three clinical undergraduate programmes within this school are ranked within the top 3 in the UK by “The Complete University Guide”. He also holds a clinical appointment as an honorary consultant physician in the Acute Stroke Unit of the Queen Elizabeth University Hospital. Professor Walters is heavily involved in career development for clinical academic trainees and having founded the West of Scotland Academic Foundation Year programme and chaired the West of Scotland Clinical Academic Training Advisory Committee. 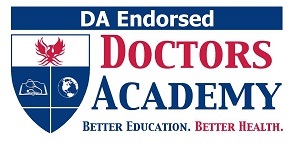 He now directs the Glasgow Academic Training Environment for early career clinicians. With various research projects and clinical trials under his supervision, Professor Walters is certainly no stranger to academic medicine. Our second speaker is one of the world’s leading cardiovascular scientists and was awarded a DBE in 2016 for her services to cardiovascular and medical science! Professor Dame Anna Dominiczak is Regius Professor of Medicine and Vice Principal and Head of the College of Medical, Veterinary and Life Sciences at the University of Glasgow. At the 7th National Research Conference on the 27th of October she will be presenting a talk on one of her major research interests, “Precision Medicine”. She leads a collaboration of four universities, four academic NHS Health Boards across Scotland and two major industry partners in a public/private partnership focused on precision medicine. With over 400 publications to her name, over 100 international plenary lectures, extensive service on national and international research committees and advisory boards, and far too many fellowships and memberships to be named, Professor Dominiczak is definitely a speaker not to be missed! Cancer survival for all cancers combined has doubled in the last 40 years in the UK, but did you know that pancreatic cancer continues to have one of the lowest survival rates? At the 7th National Research Conference on the 27th of October, Dr David Chang will be presenting “Precision-Panc: Personalised Care for Pancreatic Cancer”. Dr David Chang, the Co-Lead of Molecular Phenotyping Activities for Precision-Panc is a Reader at the Wolfson Wohl Cancer Research Centre and Consultant Pancreatic Surgeon at Glasgow Royal Infirmary. He is committed to pancreatic cancer research and the delivery of stratified cancer care. “PRECISION-Panc is an ambitious programme of research that seeks to uncover the molecular profile of individual patients with pancreatic cancer, to learn more about the disease and to pave the way for patients entering clinical trials in a way that matches their tumour biology to the type of treatment” (Cancer Research UK). Don’t miss out on the opportunity to hear about this exciting project – the first of its kind in the UK! UoG Medical Research Society (GMRS) would like to thank our sponsors.